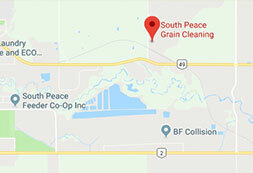 South Peace Grain Co-Op prides ourselves on our dedication to our clients. No matter which way seeds touch your business or life, timing is very important. When it comes to shipping and processing your grain orders, SP Grain goes above and beyond to ensure your business can count on our products. Here's what Sons Of Vancouver Distillery had to say about our prompt shipping practices!